Q: My husband and I have lived in our apartment for 20 years. When he became disabled, we applied for Section 8 assistance. After two years’ wait, we were accepted and got a voucher. But our landlord doesn’t want to participate in the Section 8 program. We can’t afford the rent without help. Is there any way to force the landlord to accept Section 8 money? –Marissa and Bill A: Your options will depend on which state you live in. But first, a little background on the Section 8 federal rent subsidy program: When a family becomes eligible for Section 8 assistance, the local public housing authority (PHA) issues them a voucher, which is simply a document describing the program and the steps the housing authority will take to approve a rental selected by the family.When the family selects a rental, with an owner willing to lease under the program, the family asks the PHA to approve the tenancy. If the rental passes a physical inspection, and the landlord attaches the “Section 8 Addendum” to the lease, the tenancy is created. Tenants pay 30 percent of their income toward the rent; the federal government, through the local housing authority, pays the rest directly to the landlord. The federal law that established Section 8 does not require landlords to participate in the program. But some states do. In Connecticut, Maryland and Massachusetts, for example, landlords may not refuse to rent to current or new tenants who become or are eligible for Section 8 help. And in New Jersey, when an existing tenant becomes eligible for Section 8 help, the landlord may not refuse to accept Section 8 money. If you live in one of these states, your landlord’s refusal is against the law. Normally, this prohibition prevents a landlord from refusing to rent to someone who receives Supplemental Security Income (SSI) payments, alimony or money from any other legitimate source. Would-be Section 8 tenants can attempt to extend that ban to subsidies to the landlord from the government under Section 8. An argument of just this kind was recently settled by an appellate court in California, which has a ban on source-of-income discrimination. The court pointed out that the subsidy paid to the landlord was not “income” to the tenant — it was money that went from the federal government to the local housing authority, and then to the landlord. Simply put, it was the landlord’s income, not the tenant’s. 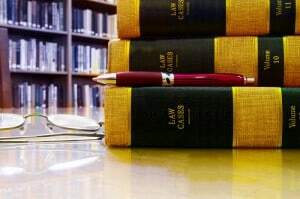 The court also looked at the text of the source-of-income law and considered the effect of its language that a landlord was not to be considered a “representative” of the tenant. The Legislature, reasoned the court, was making it crystal clear that a subsidy to the landlord was different than, say, money paid to a tenant’s conservator. In the latter circumstance, a landlord could not legally refuse to rent to a conservatee whose support was channeled through a conservator. But, said the lawmakers, a landlord is no such representative. One hears lots these days about “activist judges,” usually from quarters that disparage tenant rights, but in the California case, the judges were simply doing their job — applying the clear law that the Legislature wrote. If California’s notoriously rancorous state Legislature wants to require participation in Section 8, it can do what other states have done and say so directly.